Ashburton Celtic Rugby Club is one of Mid Canterbury's most successful sporting clubs and continues to show strong growth in both numbers and results from the different sporting competitions. The affiliation to Marist Rugby is strong with selected club members gaining positions in the New Zealand Marist Colts team each year. It is fair to say that the pride in the Green Jersey runs deep in the club. 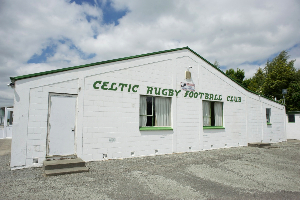 The Celtic Rugby club is situated on 12 acres at Keenans Road, Newland, Ashburton. The rugby section of our club can now boast to having playing members in all grades available within the 2018 Mid-Canterbury Competition. We have teams in the U6 (three teams), U7 (three teams), U8, U9 (two teams), U10 (two teams), U11.5, U13, U14.5, U16 Combined, U18, Colts, Senior B, and Senior grade. As well the rugby players and supporters the squash club have their courts in the building. The squash club membership is around the 60 mark, and caters for junior and seniors players. The Celtic netball club also uses the club facilities each week. They have a membership of around 50 plus players. Last year the Ashburton boxing club shifted their training building onto the Keenans road site. Their membership is around 20 people. 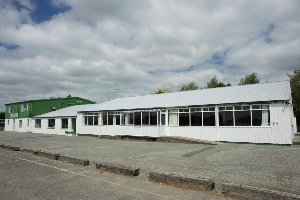 The Celtic Rugby Club offers modern clubrooms with good changing facilities, bar and entertainment areas. Recent upgrades have included an internal refurbishment including painting, carpet and tables and chairs. The clubrooms are available for hire. Quality fields make up the outside area with three only just being enough to cater for the annual club day where over two hundred green machines take to the fields. Recently all new training lights have been purchased, which make the fields the best night game fields in Mid- Canterbury. The addition of the Murney Stand in 2016 has provided wonderful cover and prime viewing for our spectators. This wil be complemented with additonal training lights for the northern end fields in 2017. The squash courts provide the players a summer activity to retain fitness and the boxing ring allows for a variation to the autumn fitness programme. We welcome any enquiries from anyone considering playing or wishing for their children to play rugby. It is fair to say that the club does have strong emphasis on supporting kids rugby with much time and effort being spent on providing training equipment. For example the club had a scrum machine built that caters for 10 - 12 years olds so they can be taught safe and correct srummaging techniques. For the open grades there is the possibility of employment assistance being provided. We welcome any contact or enquiries. Outside of rugby season only.